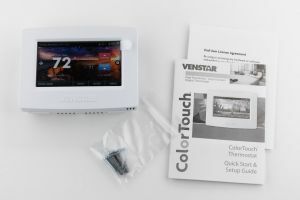 REVIEW – I’ve wanted a WiFi controllable thermostat for quite a while now, so when the opportunity to review the Venstar ColorTouch T7900 thermostat came along I thought this might just be the answer to my temperature war with my wife. 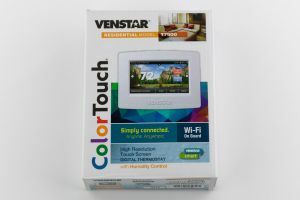 The Venstar ColorTouch T7900 thermostat is a color touchscreen WiFi controllable thermostat. 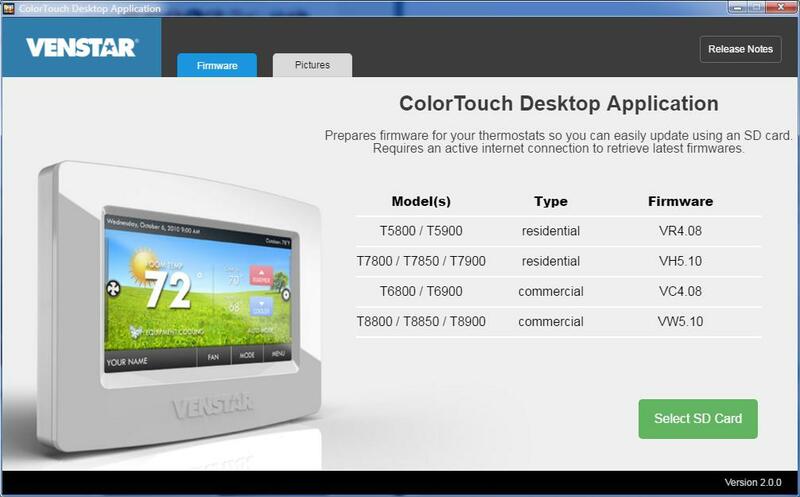 The design of the Venstar ColorTouch T7900 thermostat is simple. 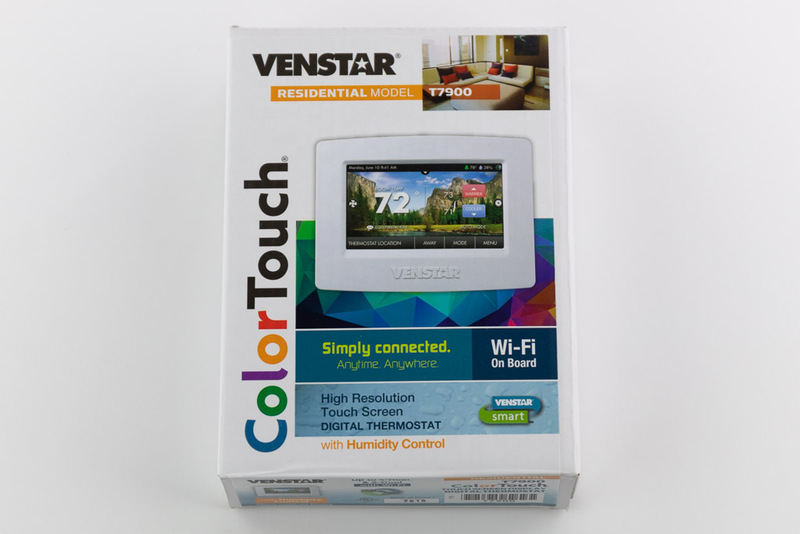 There are no external switches or dials, everything is controlled via the color touchscreen. 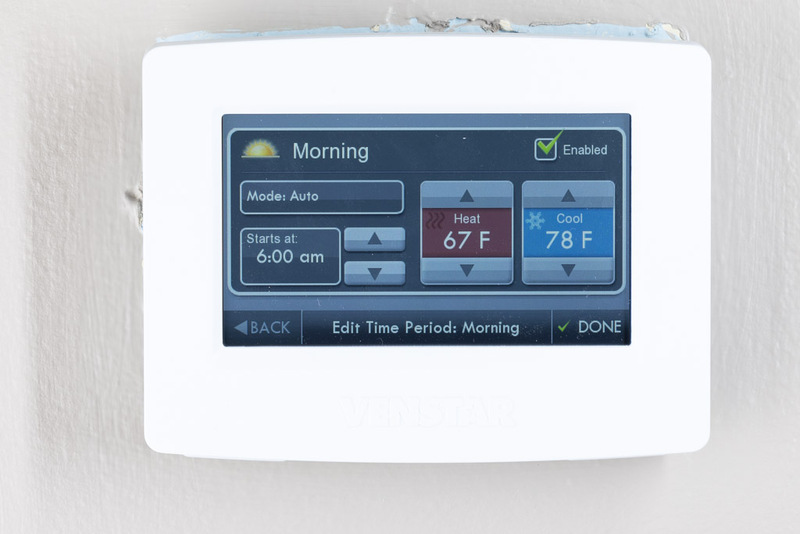 Installation was pretty straightforward for anyone that has done thermostat wiring before, but I would recommend having someone install it for you if your wiring doesn’t exactly match up with one of the possible configurations listed in the instruction book. 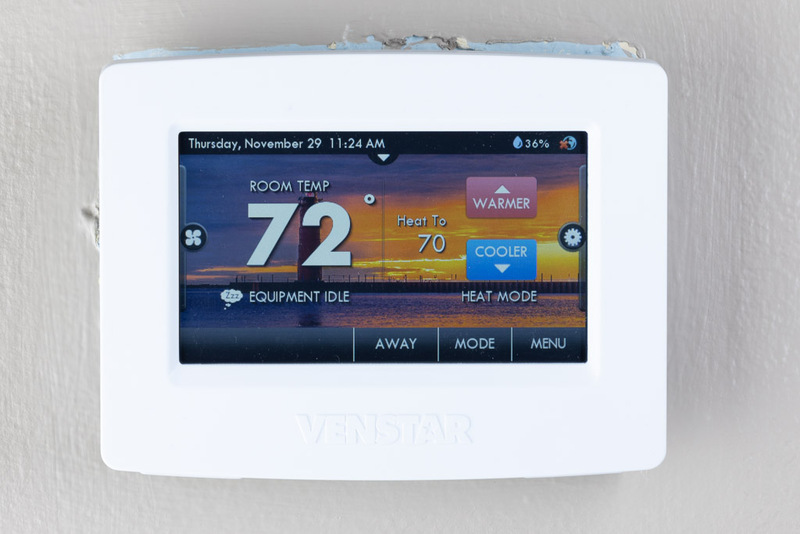 Thermostat wiring can be a bit frustrating depending on how good the installer was and how old the home is. Newer homes probably have the correct wiring. The Venstar website also has some videos on installation and operation that are quite helpful and a support staff that can help you out. 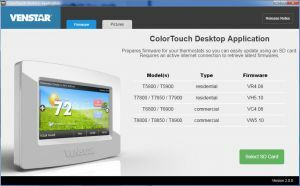 The ColorTouch T7900 has a beautiful screen. It’s easy to read and looks great. The touch response is nice and the user interface is pretty decent. 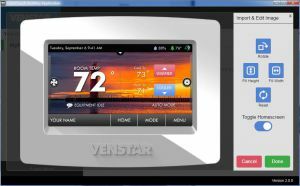 There are a lot of things you can do with this thermostat, but there are only a couple of steps to get up and running quickly. 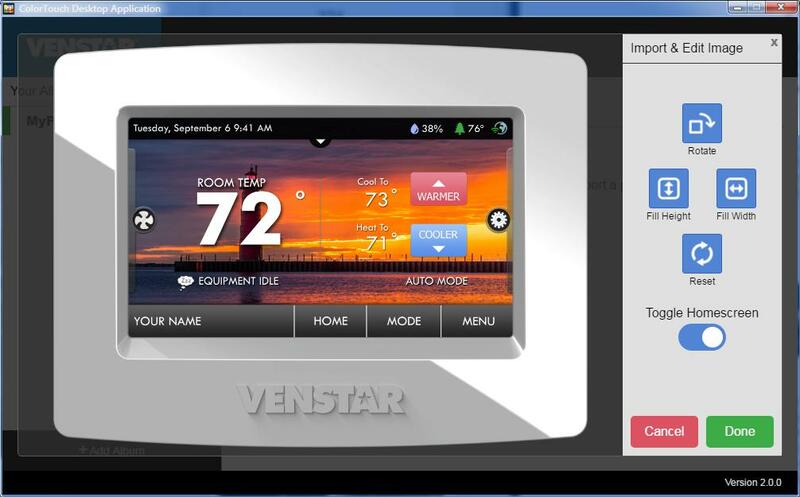 On the main screen there is a current temperature display, heat to and cool to indicators so you know what you have it set to, “buttons” to change the current temp setting, and a status bar/menu where you can choose home or away, mode, or menu. 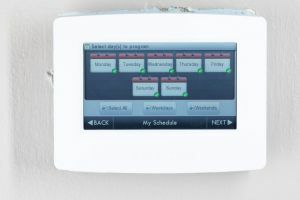 Mode simply offers the options of Heat, Cool, Auto, or Off. 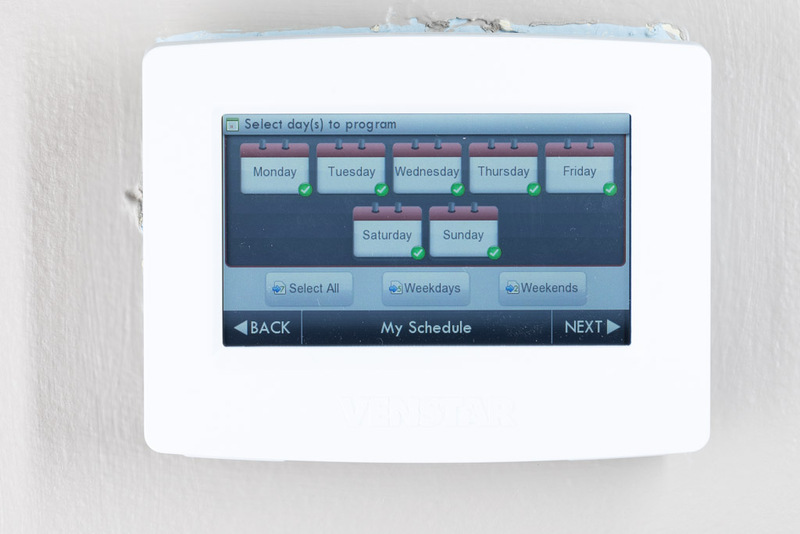 The menu contains most of the configuration items such as schedule, screensaver, themes, WiFi, etc. More on that later. The mobile app was disappointing. It has limited functionality. The app has three sections: Control, Info, and Configure. Control allows you to set the mode (Heat, Cool, Auto, or Off), change the current temp, and displays a weather forecast (after you configure your location via the Skyport website). 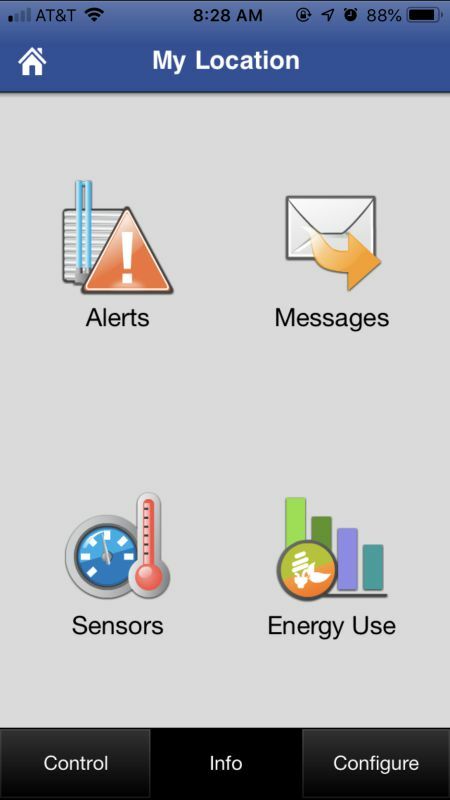 The Info section has icons for Alerts, Messages, Sensors, and Energy use. The Alerts is kind of self-explanatory. The Messages icon allows you to send a text message to the thermostat display. The Sensors icon shows inside and outside temperature and humidity, although it will hang if you haven’t set your location via the website. The Energy use icon will show you energy use for today, this week, and last week. It doesn’t really show energy consumption but rather how long the heating or cooling was running. 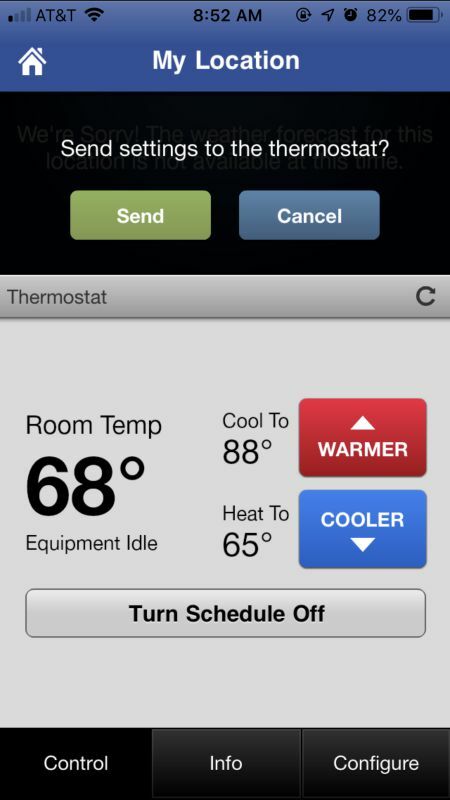 The Configure section of the mobile app allows you to set Home/Away, Schedule on/off (but not edit the actual schedule), and set fan control to On or Auto. 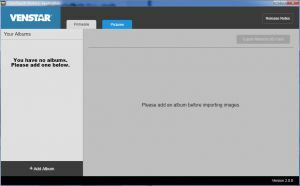 I was disappointed that I could not edit the schedule or upload images via the mobile app. 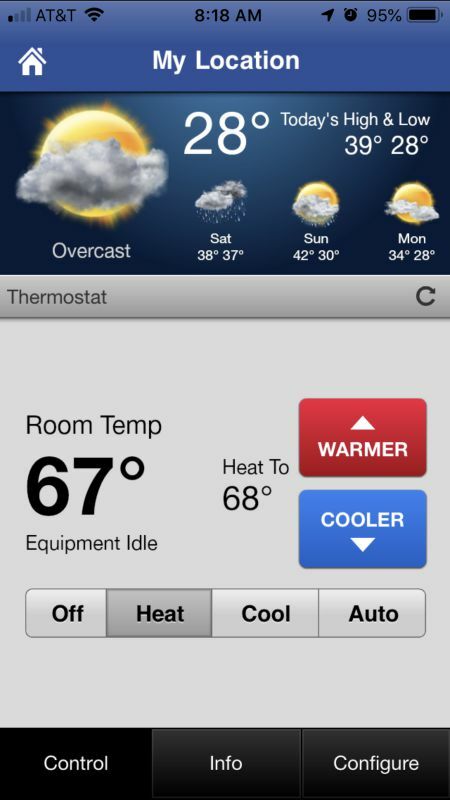 The mobile app is best used for checking or changing the temperature and turning on and off your schedule. I found the scheduling feature to be perfect. You can edit individual days, or all of the days at once. You can set a morning, day, evening, and night temperature. 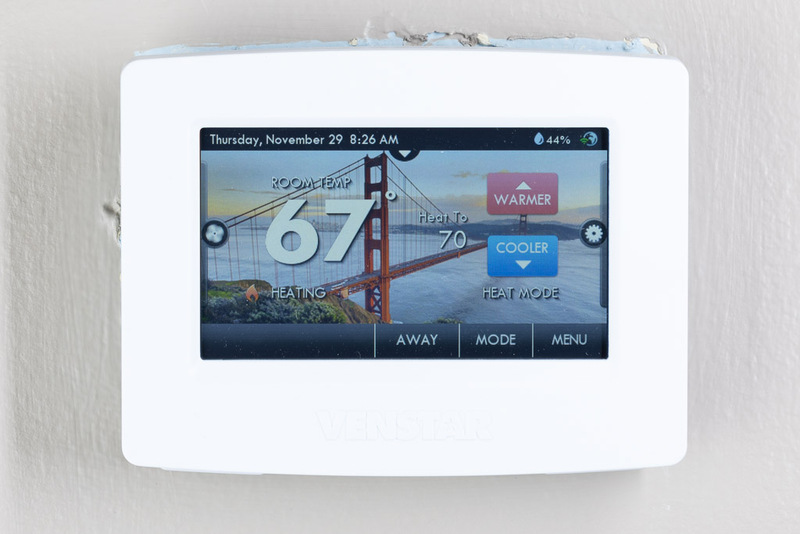 This is so much easier to do with a smart device like this than a standard LCD display thermostat. 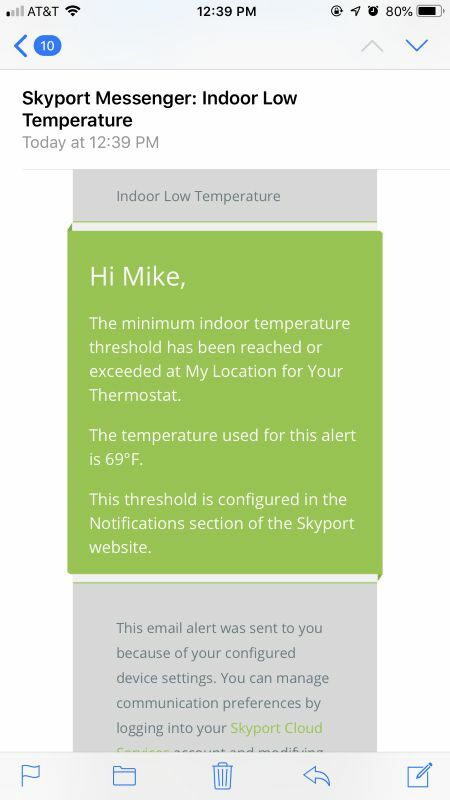 There is also the free Skyport website that you sign up for to connect via WiFi and also change the settings. 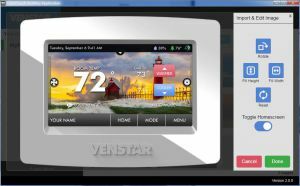 The website has all of the features of the mobile app, and additionally has most of the features that the thermostat itself has, such as being able to edit schedules, set screensaver options, etc. This was really impressive because I was not expecting to be able to do all of the things you can do from the website! 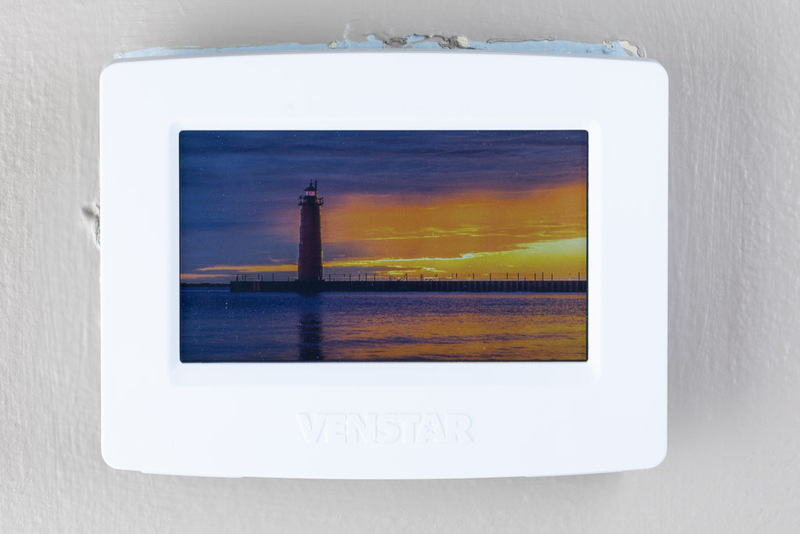 The thermostat has built-in background images (themes) for several locations and holidays, but the feature I like the most is being able to put my own images on the device. 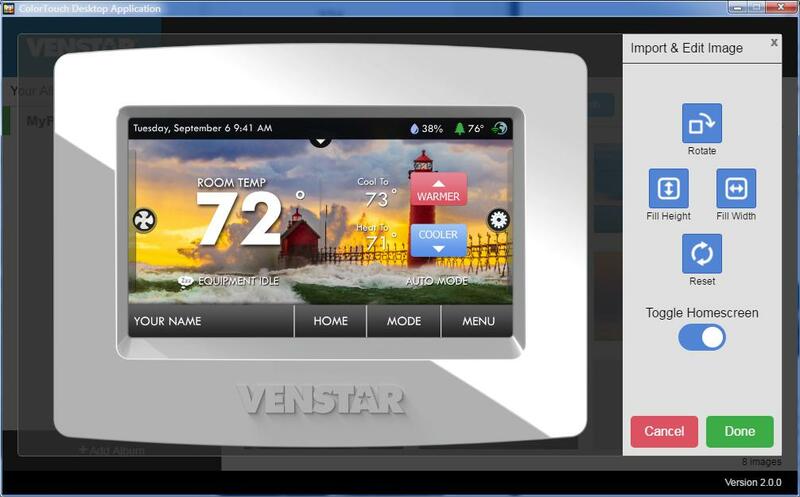 There’s a background image and screensaver images that basically turn your thermostat into a digital picture frame. You must use their desktop app to configure that though. 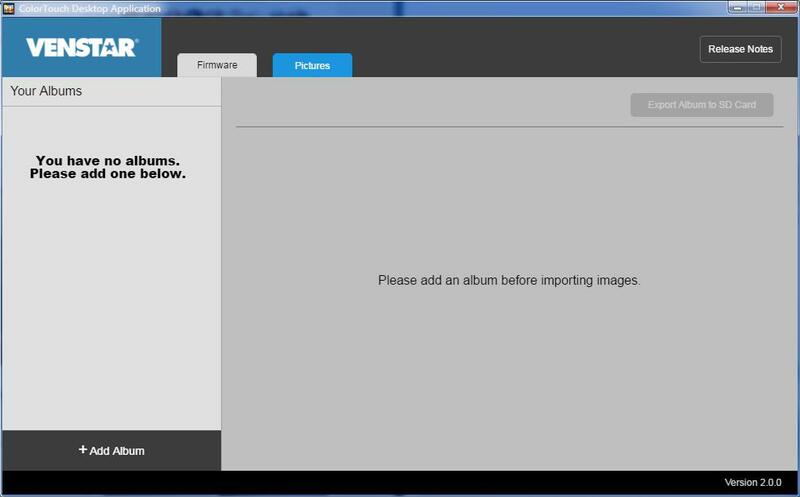 After importing the images, you export them to an SD card and then on the thermostat you can import settings and/or images. 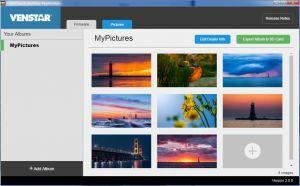 The screensaver can display an analog clock, digital clock, or your images. 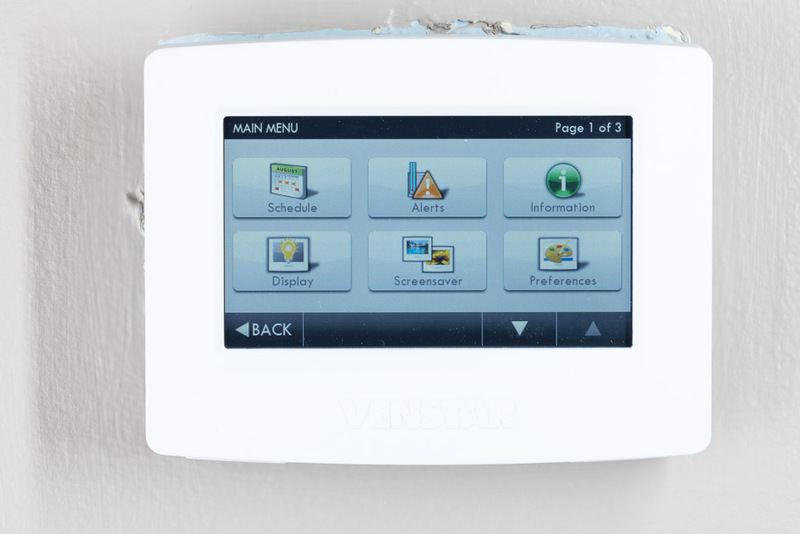 The thermostat also has a security feature which may come in handy if you have kids. With the security feature enabled you can lock down all the functions and adjustments with a passcode and to restrict the temperature range. This allows you to let people change the temperature, but only to the minimum and maximum that you set. One thing I really like is the ability to set a notification for a low temperature. 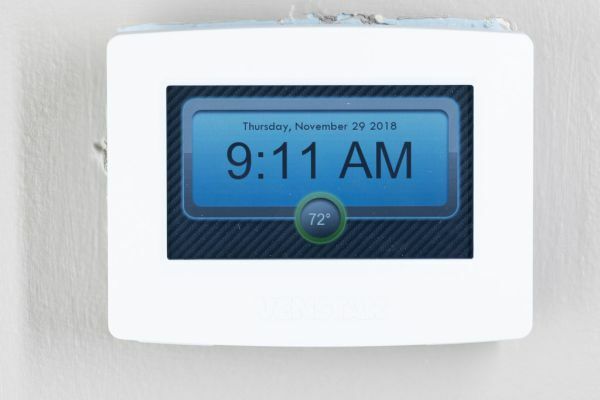 If the temperature goes below the value I set, you get an email. This is reassuring in the winter time. Overall I really like the Venstar ColorTouch T7900 thermostat. 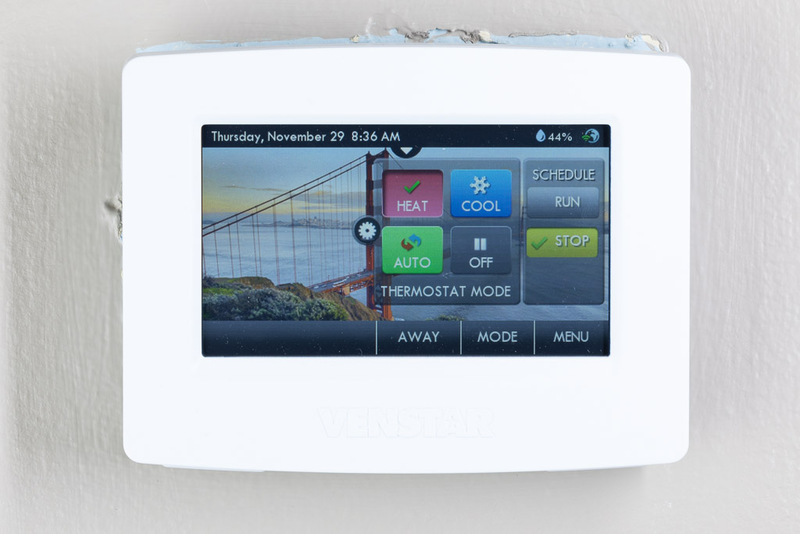 It’s nice looking, performs well, and has features that a non-WiFi thermostat just doesn’t have. 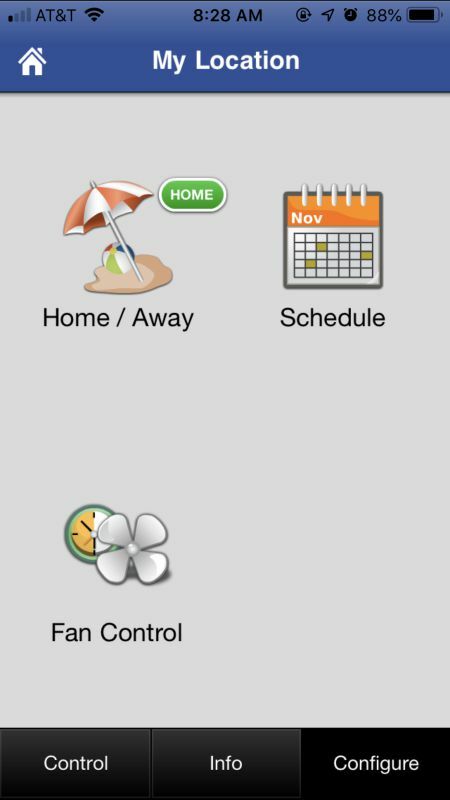 I like the peace of mind that the mobile app gives me when I’m away from home for long periods during the winter. 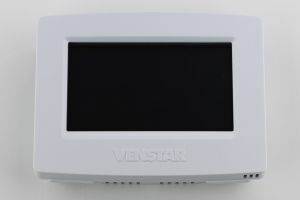 Source: The sample of this product was provided by Venstar.